Madison Fox are proud to offer for sale this large and spacious five bedroom, three reception room and three bathroom family home located in the ever popular Walthamstow Village. 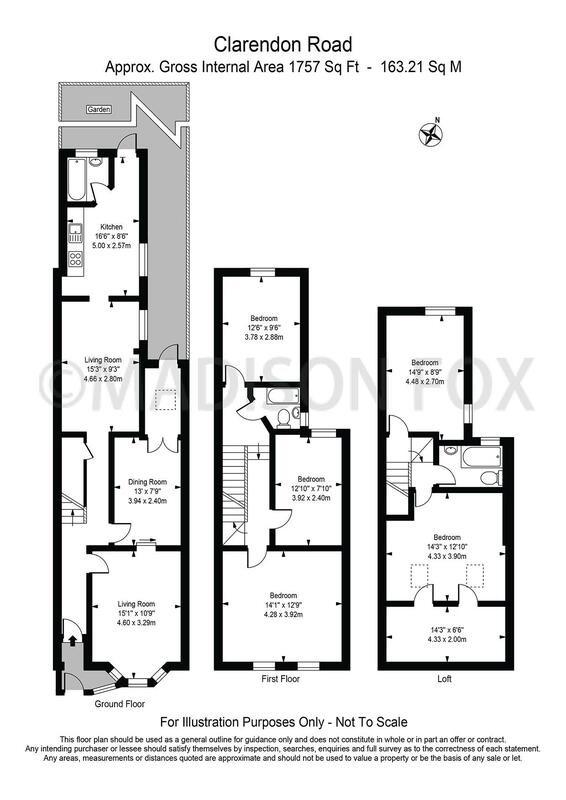 Already having been extended, the property has further scope for extension subject to the usual permissions. The property is configured over three floors and comprises of two reception rooms, a dining room opening to a good sized kitchen with access to the rear garden, guest w/c/wet room and a basement. Upstairs there are five good sized bedrooms and a family bathroom. Clarendon Road is situated just off Hoe Street and is within walking distance to Walthamstow Central station and the vast choice of shops, cafes and restaurants on Hoe Street and the famous Walthamstow Market as well as the great choice of restaurants in The Village.